Red and affordable. The Xiaomi Redmi Note 5 not only convinces with its affordable price but also its dual-camera, its metal case and its capable SoC. Find out in this review whether the Redmi Note 5’s performance is as impressive as its price. It's not infallible, but the Redmi Note 5 is a great all-rounder and will be hard to beat under £200. It benefits from a very good and well-sized screen, and has a decent camera and usable performance. A big screen and a low price are paired with decent battery life, usable performance and an enhanced dual-camera in the Redmi Note 5. There are some drawbacks, such as the old Micro-USB port, lack of Quick Charge support and partly plastic build, but in other respects budget phones don't come much better than this. Xiaomi Redmi Note 5 has every chance to become a new bestseller of the company. 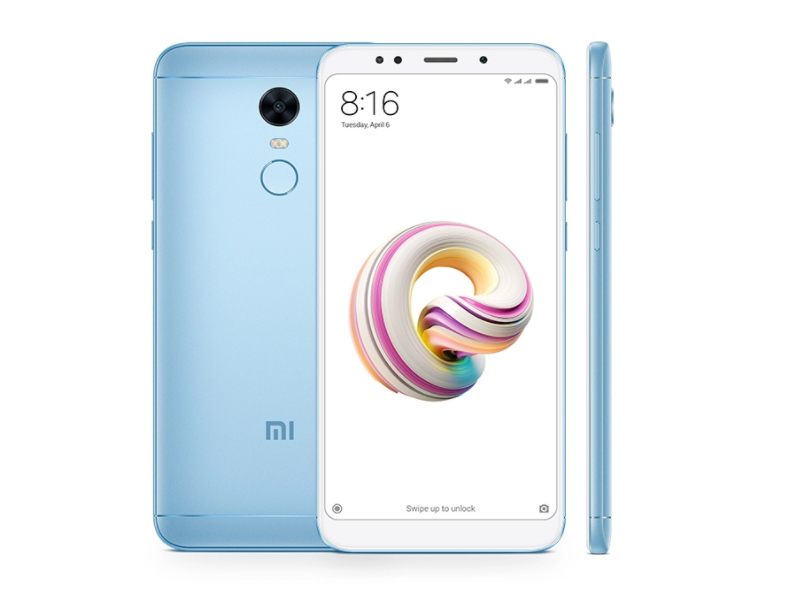 Xiaomi products are historically considered in terms of accessibility with qualitative characteristics, Xiaomi Redmi Note 5 has a solid build quality, a great display, it runs fast, has an up-to-date system, the camera is really awesome in daylight, connectivity standards are way above average and the battery life is insane. The only niggle and an impudence is the old micro-USB port. Those looking for the best middle-class smartphone will not get past Xiaomi Redmi Note 5. Its design is successful and well finished, its cameras are very good for their price and it has excellent autonomy. In short: at this price, we would try to go ahead without warning. Right Now If you are interested to buy Xiaomi Redmi Note 5 You can go now on Gearbest and get it in just at $189.99 for 4GB 64GB Global edition with coupon code: IT$MPN564 in limited units and 3GB 32GB version at $189.99, too. Between the solid material design and build-quality, performance that swings above its price-bracket and slick software experience, the Redmi Note 5 is a smartphone that’s very easy to recommend. Odd naming convention and the ensuing availability and model confusion aside, the Xiaomi Redmi Note 5 AI Dual Camera makes for a nice upgrade over the original Xiaomi Redmi Note 5 Pro. Of course, that's one way of looking at things. This new development and Xiaomi's apparent desire to discourage any easy differentiation within its lineup do beg the question of whether the AI Dual Cam should have been the original and only release. This latest Redmi Note device changes that, and I still find it quite hard to believe you can get such a capable smartphone for less than RM1,000. Xiaomi Redmi Note 5 Review: Camera Beast? All in all,using the Redmi Note 5 has been a pleasant experience for me although admittedly, there are still some parts that needs improvement. For a mid-range phone though, it has good specs and it proves that it has great camera abilities for its price-range. 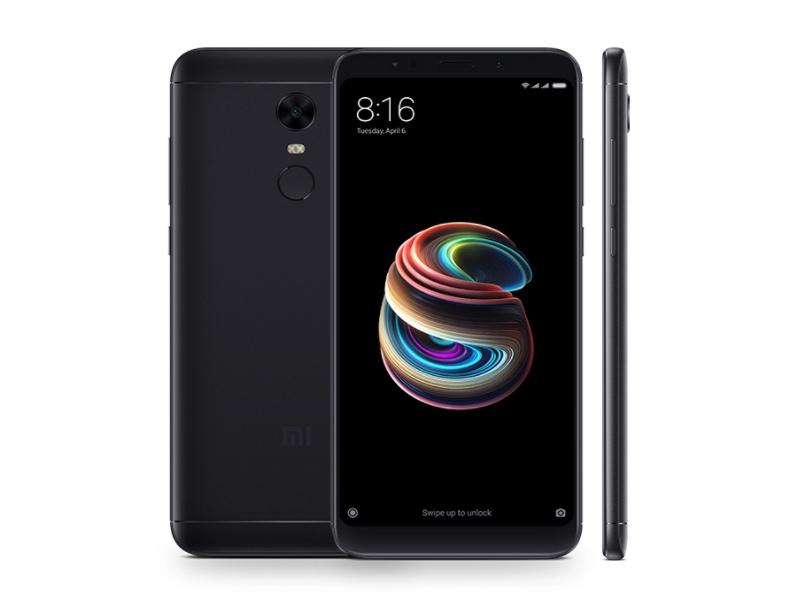 In an open letter, Xiaomi Founder, Chairman and CEO Lei Jun said that their mission is to “build amazing products with honest prices.” Looks like it’s a good formula as the Redmi Note 5 offers good mid-range specs like the large high-resolution screen, Snapdragon 636 chipset, great battery life, and premium build, all for just Php11,990. This is certainly not the best mid-range smartphone in the market though, as there are better devices out there if you have the budget. But if you’re looking for the best bang-for-the-buck, this is it. The Redmi Note 5 isn’t perfect, no matter what Xiaomi diehards tell you: image quality from its dual-cameras are good but aren’t amazing, and that charging time is pretty slow for a device of its caliber. But if we’re honest, those are mostly nitpicking in an overall solid phone. Big battery means it’ll take a while before you completely drain it, a notchless display is heaven sent for the notch haters plus the addition of the SD 636 chipset means the phone is capable of demolishing any and all apps with ease. Xiaomi Redmi Note 5 Unboxing, Quick Review: The Mid-range King? If that’s the case, then the Redmi Note 5 will be the most aggressively priced mid-range phone that’ll hit the Philippine market by far. We’ll know exactly how much the phone will be when it’s officially launched in the country on May 11. The Xiaomi Redmi Note 5 offers incredible value for money. Not only is it affordable, it has one of the best smartphone cameras in this price range, excellent battery battery life, and its Snapdragon 636 chipset offers a good balance between performance and power efficiency. 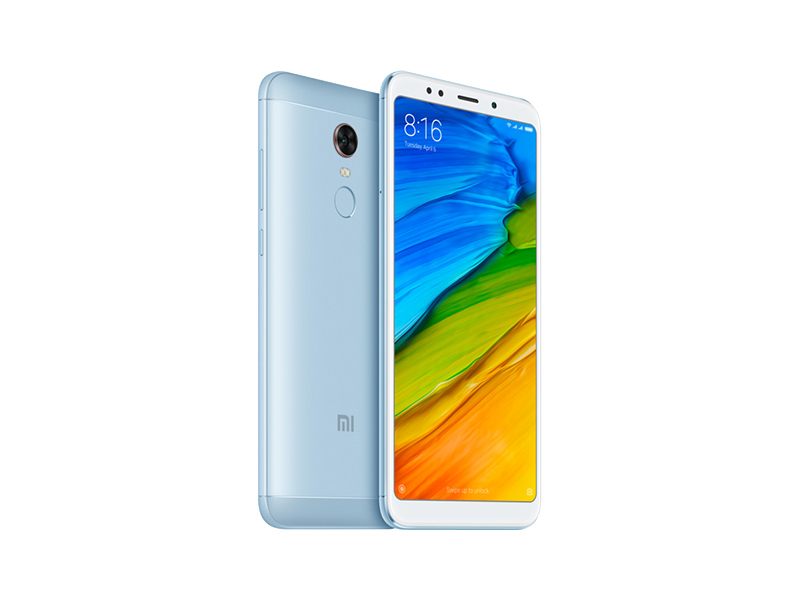 The Redmi Note 5 is Xiaomi’s strongest terminal in the budget segment in the last two years and places the brand in an excellent position as we approach the new release cycle for 2018. The 18: 9 screen it’s a much-needed change to stay competitive, and the Snapdragon 636 ensures class-leading performance for the foreseeable future. Therefore we believe that Xiaomi did a brilliant job in terms of specifications, giving it a first-class performance. No matter what you do, the smartphone handles everything like a champion. It is powerful, has an updated design and excellent AI camera capabilities. Leaving aside the micro USB port and the bump in the rear camera, the device is almost perfect.Right now you can use Coupon Code: 3BGRN564 for (4GB+64GB) Just at $232.99 . If you are a Redmi Note 4 owner, the Redmi Note 5 would be a nominal upgrade, you will fancy the new 18:9 display, the other aspects are identical to the predecessor. It seems Xiaomi wanted to cater for its higher variant Redmi Note 5 Pro, Rupees 2,000 more and you get a dual-camera powerhouse with a great selfie camera. Upgrading your Redmi Note 4 to Redmi Note 5 Pro is rather essential. Xiaomi's success story, in India, is well worth a study. You can maybe do a documentary film on it. There will be so much to learn, and experience, and to get inspired. The Redmi Note 4 is a major part of that success story. It's done wonders for Xiaomi, and the smartphone market in India. Which is where, its successor becomes all the more important. The Redmi Note 5 has some big shoes to fill, and it does where it can, mostly because it keeps (intact) all the things that made the Redmi Note 4 so (very) likeable, and tries to add a modern twist to it, courtesy its near bezel-less design. To conclude, the Redmi Note 5 is a modest update to the Redmi Note 4. The smartphone does come with the latest display trend, which gives some good performance. The battery is impressive, but that’s it. The user interface has its fair share of hits and misses and the camera can be considered as a downgrade from Redmi Note 4. So, if you are existing Redmi Note 4 users and want to upgrade, then we suggest you should shed some extra bucks and go for the Redmi Note 5 Pro as it makes much more sense. The Redmi Note 5 ticks all the right boxes and offers a great package at a great price. For the very first time in years, Xiaomi has competition breathing down its neck. The Redmi Note 5 is no longer the budget king. That honor, punnily enough, goes to the Honor 9 Lite. Xiaomi Redmi Note 5 is a good smartphone in the price bracket of Rs 9,999. However, the smartphone is surely not the right upgrade for those who have Redmi Note 4. As, apart from larger display and some tweaks in the design there is nothing new that the phone offers when compared to Redmi Note 4. Apart from this, we also feel that the device faces tough competition from the company’s Redmi Note 5 Pro which comes with a starting price tag of Rs 13,999 and offers better specifications and dual rear camera setup. However, for buyers with a budget of Rs 10,000, Xiaomi Redmi Note 5 is a good bet. However, anyone who has even slightly higher budget should go for Redmi Note 5 Pro. 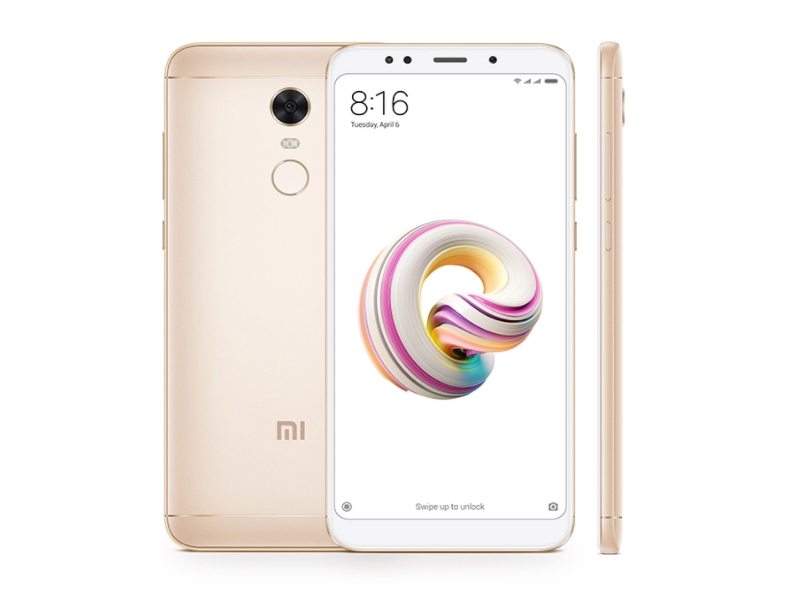 The Xiaomi Redmi Note 5 goes on sale every week exclusively on Flipkart as well as Mi.com starting from February 22nd at Rs. 9999 for the 3GB RAM with 32GB storage version and Rs. 11,999 for the 4GB RAM with 64GB storage version. It will soon be available from offline stores.It also comes with Rs. 2200 cashback offer and 100% additional 4G data for Reliance Jio customers. To summarize, here are the pros and cons of the smartphone. Overall, Redmi Note 5 is a well-packaged smartphone. While there are a few areas of improvement but looking at the price point, Redmi Note 5 is worth our recommendation. Redmi Note 5 may not have the same premium look and feel like Honor 9 Lite, but its performance prowess gives an edge over the competition. The great Redmi Note 4, now has a successor and the device is priced at Rs. 9,999 for the 3 GB/ 32 GB variant and Rs 11,999 for the 4 GB/ 64 GB variant. This means the smartphone goes in the market with very stiff competition around it. The Note 5 faces heat from the Honor 9 Lite that comes with not just two but four cameras, 18:9 aspect ratio display and a very good design. Xiaomi has been quite innovative with its Redmi Note series. The Redmi Note 3 (Review) showed us how powerful a phone could while still remaining affordable, and the Redmi Note 4 (Review) impressed us for being power efficient as well. Xiaomi seems to have played it safe with the Redmi Note 5, and it feels like a Redmi Note 4 with a better screen and lower price to keep up with the times, which is not a bad thing at all. It takes a solid foundation and improves on it, giving Xiaomi another good all-rounder. With a starting price of Rs 9,999, the Redmi Note 5 offers tremendous value for money. Those with a higher budget who want a little more in terms of features and power can take a look at the Redmi Note 5 Pro. On the software side, the Redmi Note 5 would have a greater advantage with the Oreo-out-of-the-box update, but sadly, it is still based on Android N with MIUI 9 on top. Phones in this range have started offering Android Oreo, Honor 9 Lite to name one. Redmi Note 5 is a 2018 smartphone with a Full View display, though it doesn’t have dual cameras. For some users, especially those on Redmi Note 4, the new phone might seem like an upgrade given the processor is the same and the major change is the display. Still Xiaomi has made improvements to the rear camera. Simply by looking at the spec sheet, the Redmi Note 5 can be said to be a Redmi Note 4 disguised under a brighter, taller 18:9 display. But spec-sheets rarely tell the full story. Despite having the same hardware, a lower entry-point in terms of pricing means the same hardware is now more affordable, which will allow Xiaomi to welcome more users to its ecosystem. More importantly, those same users will not be left disappointsed. Xiaomi Redmi Note 5 First Impressions: Its a grown up Redmi Note 4 ! Xiaomi Redmi Note 5 is modest upgrade on the Redmi Note 4 with its improved design, new display and not much more. From the inside, it is just another Redmi Note 4. As far as the competition is concerned, the smartphone will face a stiff competition with the Honor 9 Lite and more. The Redmi Note 5 is as good as the Redmi Note 4 but with 18:9 screen and that gives a whole new experience to this handset. Indeed a very good buy. The Redmi Note 5 is not perfect – the camera still misses the beat – but it is a well-rounded package that one wouldn’t hesitate to recommend – especially if one needs a big screen and long battery life. Packed in a neat chassis, the smartphone performs great and is a compelling smartphone that gets a direct entry into any best-of lists. 85% Xiaomi Redmi Note 5 Preis/Leistung sehr gut! Positive: Large screen; nice display; powerful processor; long battery life; good price. Negative: Poor cameras; only 64GB ROM; no USB-C; the location of fingerprint sensor. Positive: Large screen; nice display; large battery capacity; good price. Positive: Good price; decent hardware; high autonomy. Positive: Good price; attractive design; high performance; powerful hardware; excellent display; decent cameras. 80% Recensione Xiaomi Redmi Note 5: un must della fascia media! 82% Recensione Xiaomi Redmi Note 5: il nuovo re della fascia media? Positive: Good price; nice performance; high autonomy; decent cameras. Positive: Good price; nice display; high autonomy. Positive: Decent performance; good price; nice cameras; light weight. Negative: Heavy and bulky; poor display. Positive: Nice display; solid workmanship; long battery life; decent cameras. Positive: Powerful hardware; good price; nice performance. Positive: Good display; decent cameras; nice performance. 80% Test du Redmi Note 5 : sous 200 euros, qui dit mieux ? Positive: Good price; decent hardware. Positive: Excellent cameras; good price; solid workmanship; beautiful design; nice display; good speakers; high autonomy. Negative: No USB-C. Positive: Low price; nice design; solid workmanship; decent hardware. 70% Test, recenzja, opinia – Xiaomi Redmi Note 5 – Nie przesadzają – najlepszy z najtańszych! Positive: Good price; elegant design; metal case; solid workmanship; nice display; decent cameras. Negative: No NFC; only MicroUSB port. Positive: Beautiful design; excellent cameras; big screen; nice display; decent hardware; large battery capacity. Negative: No NFC. Positive: Metal case; solid workmanship; nice display; long battery life; decent cameras. Negative: No NFC; combined slot; heavy and bulky. Positive: Attractive design; good price; decent processor; bright screen; good autonomy; nice cameras. Negative: Combined slot; slow charging; no NFC. Positive: Excellent display; high autonomy; decent cameras; fast fingerprint sensor; metal case; compact size. Negative: No NFC; no microUSB. Positive: Powerful hardware; nice display; great cameras; long battery life; fast fingerprint sensor; solid workmanship; good price. Negative: No USB-C; slow charging; no NFC. Xiaomi Redmi Note 5 chỉ còn 4 triệu đồng: Món hời là đây chứ đâu! Positive: Attractive price; decent hardware; high performance; metal case; nice cameras; long battery life. Positive: Large battery capacity; decent hardware; nice cameras; good price; metal case; large screen. Negative: Mediocre design. Positive: Nice design; good display; decent connectivity; long battery life; nice cameras. 82.28%: This rating should be considered to be average. This is because the proportion of notebooks which have a higher rating is approximately equal to the proportion which have a lower rating.